She noticed something was off when he chewed through her wall. 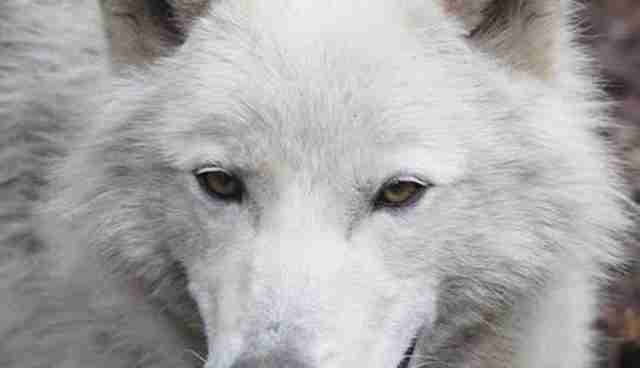 Trigger must have seemed perfect to his former owner, with his large amber eyes and all-white, gorgeously thick coat of fur. It was a case of puppy love at first sight, but with serious consequences that his owner learned the hard way. Trigger's former owner, who resides in Oklahoma, first saw him in a newspaper ad. 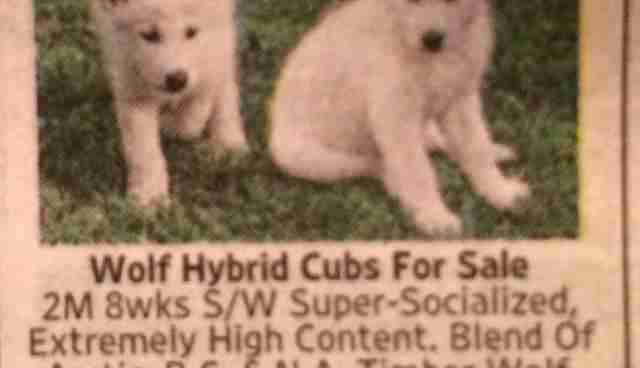 He and a littermate sat in the grass, advertised as wolf hybrids for sale, $300 each. 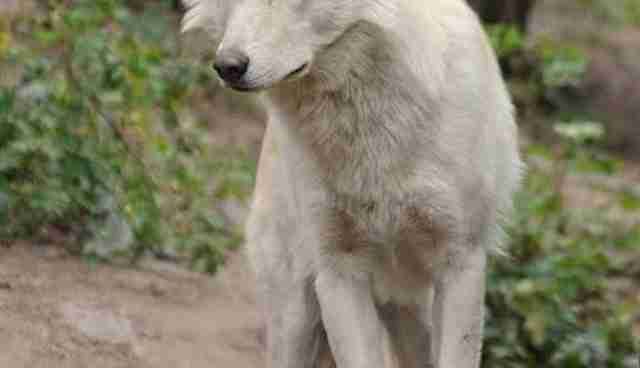 Trigger was described as a "super socialized" pup, but also "extremely high content," meaning that he is more wolf than dog and is physically very similar to a full wolf. 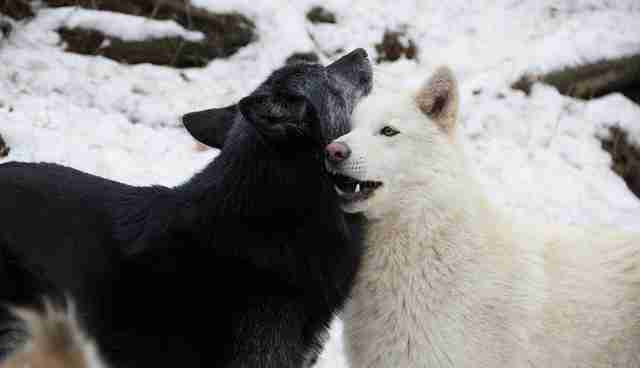 The fact that Trigger was indeed a wolf dog didn't stop his former owner from buying him - as is often the case - and so she became Trigger's mom. Even normal puppies are known to be a handful when growing up. But by the time Trigger was 5 months old, his owner came to realize that he was far from an appropriate family pet, according to Colorado's W.O.L.F. Sanctuary. 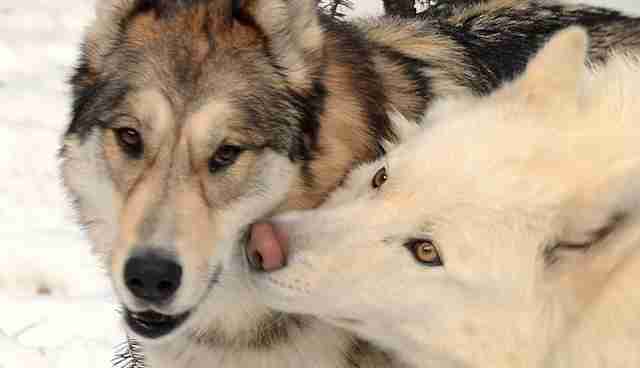 "She loved the little pup and had a very strong bond with him; however, after doing extensive research on wolf dogs, she realized that Trigger would never be happy or healthy in her home," the sanctuary wrote on its website. "Trigger had already eaten part of a wall and she was forced to keep him in a wire kennel in her bedroom while she was at work." His former owner knew that it would only be a matter of time before Trigger chewed his way out of his kennel. Furthermore, Trigger engaged in dominance behaviors with her senior dog, hinting at potentially dangerous confrontations down the line. 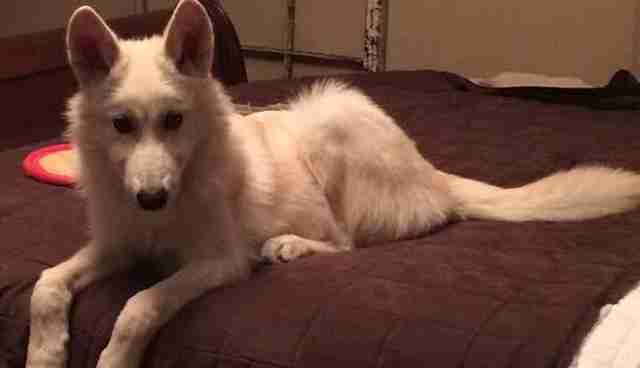 And so, after her initial impulsive decision, Trigger's owner made the choice to place him in a sanctuary where he could live a much better life. She reached out to the W.O.L.F. Sanctuary in August 2014. Thankfully, the sanctuary had room to give Trigger the forever home he needed. 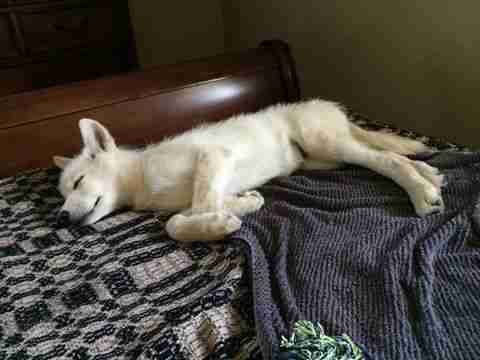 Settling in at the sanctuary upon arrival wasn't easy for the wolf dog. 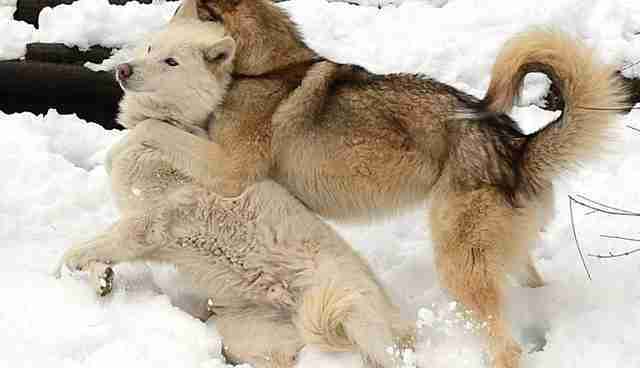 Trigger was paired with two different wolf dogs - but both never fully warmed up to him. "Trigger was such a sweet, shy little boy in desperate need of a friend and playmate," the sanctuary wrote. Luckily for Trigger, his perfect match arrived in the form of Spartacus, another new rescue. When the two boys were placed together in the same closure, they clicked immediately, chasing each other, wrestling and even sleeping together. These days, the two are inseparable and both help each other in different ways: Spartacus is no longer the obsessive howler he was once, while Trigger, who is 2 years old now, is learning to become more trusting toward his caretakers, thanks to Spartacus' open and eager personality. 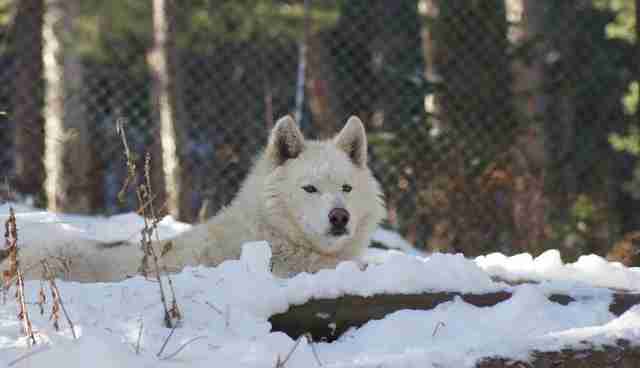 More importantly, Trigger gets to spend the rest of his days running freely in a large enclosure with another wolf dog just like him - instead of as a house pet.